The outside of the new Bangkok store. 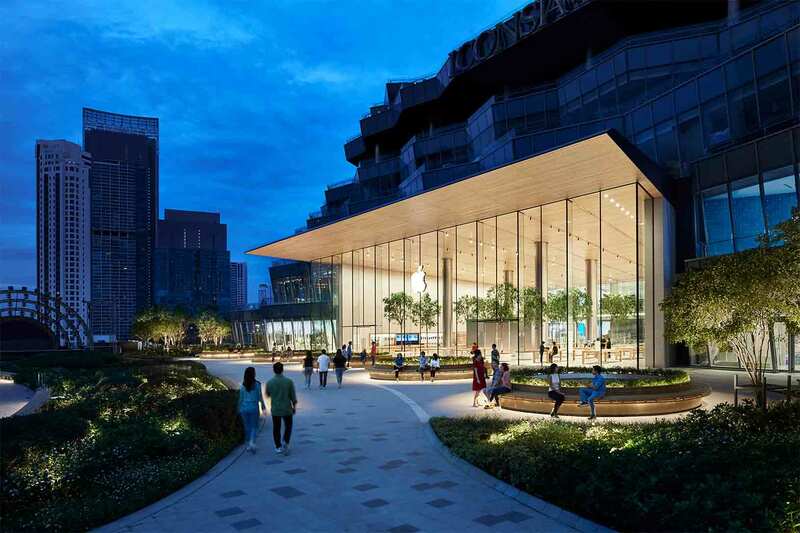 One of the most popular countries in South East Asia for American tourists is finally getting its first Apple store. 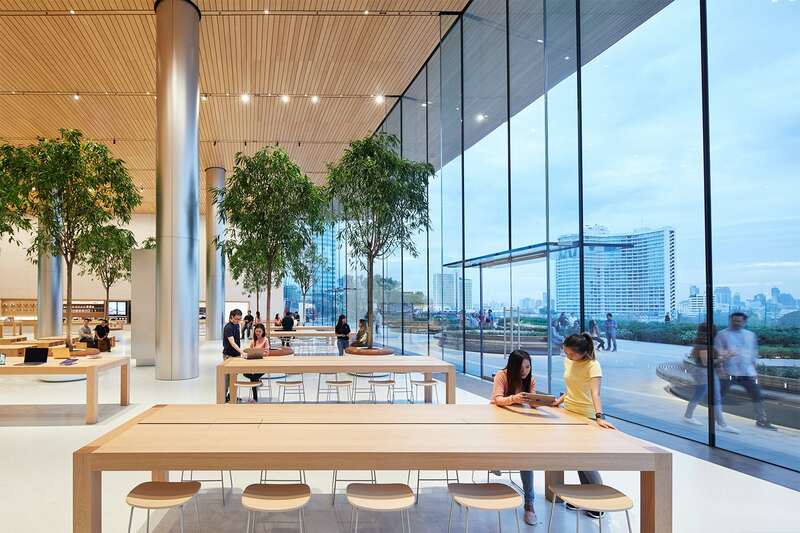 Apple is set to open the doors of its Bangkok store in Thailand on Saturday, offering Apple’s first-ever official sales channel in the country for the iPhone XS, XS Max, XR and the Apple Watch Series 4. 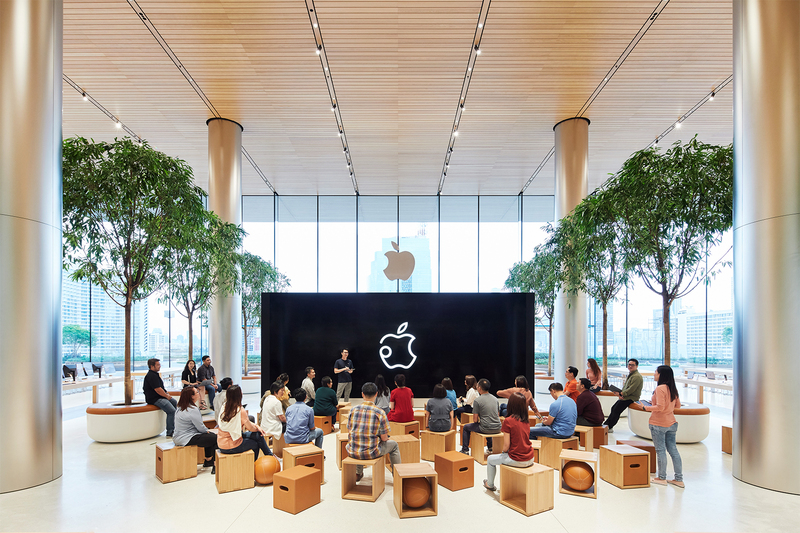 Ahead of the launch, Apple shared a few shots of the interior and it looks both simple and grand. “River of Kings” in the heart of Bangkok. Cultural landmarks and popular sites surround the Apple store at the ICONSIAM Center. It’s connected to the shopping center with huge glass facade facing the river. Inside you’ll find Apple’s product avenues that have become standard at all its flagship stores. There’s a big area dedicated to Today at Apple sessions with a huge 6K TV. You’ll also find a tree-lined Genius Grove that mirrors the plants found on the outdoor terrace. Some photos of the first Apple Store to open in #Thailand taken by @spin9. The store opens to the public at IconSiam in #Bangkok on Saturday.